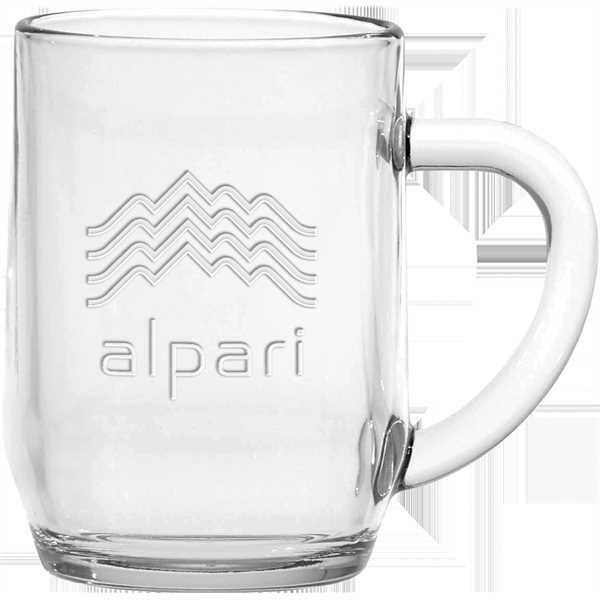 Put your brand directly in their hands with the classic look of this 10 oz. glass Haworth coffee mug. Its small, compact design makes it perfect for a quick cup in the morning and its round handle makes it easy to hold. Make this item even more of a standout with a deep etch of your name, logo and advertising message. Who doesn't love a new cup? Invest in your brand with this classic promotional choice today!